I borrow this old expression from Sesame Street to present a contrast that is indicative of the health care environment in the US, made all the more poignant by the fact that this is occurring in our nation's capital. 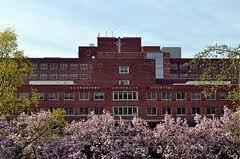 This is United Medical Center, a safety net hospital serving one the poorest parts of the District of Columbia. The Washington Post reports that the District paid $12 million to Huron Healthcare to operate the hospital and make recommendations for its future. 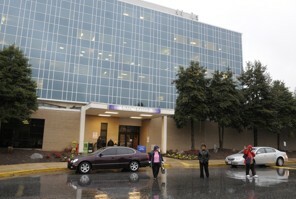 Under its contract, Huron assumed management of United Medical Center in late March. 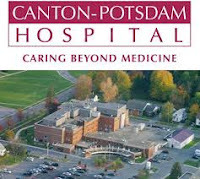 It is undertaking a “strategic review” of the hospital’s operations and is expected to develop a proposal to help turn around the hospital in the coming weeks for the approval of the hospital’s board in July. The DC government and local constituencies will only solve UMC's problems when the federal government makes the proper commitment to providing the poor people in this part of the District with "a full-service hospital east of the Anacostia River." The decision has been closely followed by health experts because critics say it reflects a nationwide medical arms race, as hospitals scramble for dominance by investing millions of dollars in technology that has not been proven to be better than cheaper alternatives for some cancers. "Neither [Hopkins nor MedStar] should be building," says Dr. Ezekiel Emanuel, a former health care adviser to the Obama administration who is now at the University of Pennsylvania. "We don't have evidence that there's a need for them in terms of medical care. They're simply done to generate profits." Meanwhile, another facility, the Maryland Proton Treatment Center, is already being built 40 miles away in downtown Baltimore. The organization that is making this possible is CMS, which has set rates for use of proton beams for "normal" cancer therapy that far exceed their value compared to traditional forms of radiotherapy. Dr. Emanuel was a key advisor to President Obama on health care issues. He and others in the administration have had years to fix this problem, but they have not. When I recently asked a high ranking CMS official why they didn't act to change this payment scheme, s/he answered, "I think you know the reason why." The reason why, obviously, was that political pressure from those who stand to benefit from the medical arms race have enough influence on the federal agencies to protect the status quo. When we compare the outright waste of tens of millions of dollars on duplicate machines of unproven clinical effectiveness with the human suffering that results from the degradation of places like United Medical Center, we see political corruption of the highest order. I am not suggesting personal corruption, nor I am suggesting that either political party is solely responsible. I am suggesting corruption of political processes to protect the strong, big, and well connected at the expense of the poor and less powerful. My book Goal Play!, which has been available for some time only on Amazon (in print and Kindle versions), is now available at Smashwords in almost in any e-book format you might desire: Apple iPad/iBooks, Nook, Sony Reader, Kobo, and most e-reading apps including Stanza, Aldiko, Adobe Digital Editions. Here's your chance to add it to your digital library. David Hartzband, D.Sc., Lecturer, MIT Engineering Systems Division. This webinar is based on Dr. Hartzband's work as PI for a grant entitled “An Identity Ecosystem for Patient-Centered Coordination of Care.” He will describe how two health information exchanges link with a unique policy-enabled authentication, authorization, and identity proofing system that can gather and utilize identity attributes from disparate sources and use them to provide a very high level of assurance for cyber identities. 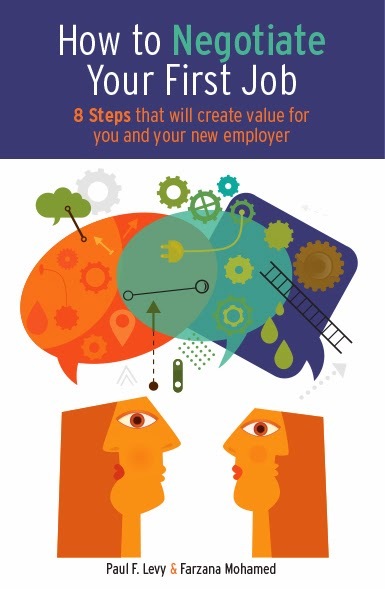 This systems-based approach can be useful to consider in many other industries. That’s a sour assessment for those hoping to wring large savings out of the health care system by making it more efficient. Some, such as President Barack Obama’s former budget director, Peter Orszag, assert that geographic variations in spending could mean that nearly a third of Medicare spending may be unnecessary. I hold no brief for this study, or for the previous ones by the folks at Dartmouth. What I view as interesting is the manner in which public policy in the health care arena is or is not whipsawed by the latest study. What would happen now if a major part of the framework for ACOs, risk-based contracting, and increased concentration of the health care industry is viewed as up for grabs? Here's what I predict. That re-evaluation will not happen, at least right away. The new report will be viewed as politically incorrect, disagreeably contradicting the current views of many parties who now have a vested interest in the new direction of the national health care system. It's methodology will be critiqued by those benefiting from the new status quo--just as the Dartmouth report was critiqued for many years with those benefiting from the old status quo. Then, the conclusions will take hold, and policy will shift again. 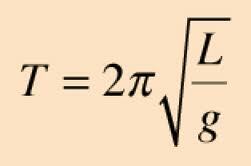 It takes a while for a pendulum to reach its high point and for momentum to shift, but gravity is not just a good idea: It's the law. He also said that the communication between "hot people" is his primary marketing tactic: “It’s almost everything. That’s why we hire good-looking people in our stores. Because good-looking people attract other good-looking people, and we want to market to cool, good-looking people. We don’t market to anyone other than that,” he said. Greg Karber posted a YouTube video entitled “Abercrombie & Fitch Gets a Brand Readjustment #FitchTheHomeless,” which asks the public to go to their local thrift shops and purchase all of the Abercrombie & Fitch they can possibly grab and distribute the clothes to the homeless. “Together, we can make Abercrombie & Fitch the world’s number one brand of homeless apparel,” Karber says in the video. It isn't often that you see a headline like this in the medical world. But such are the conclusions reached by Michael B. Edmond, M.D., M.P.H., and Richard P. Wenzel, M.D.in an editorial in the New England Journal of Medicine. The editorial commented on the results of an extensive study by Susan S. Huang et al published by NEJM, entitled, "Targeted versus Universal Decolonization to Prevent ICU Infection." Active detection and isolation without decolonization was not effective in reducing rates of MRSA-positive clinical cultures, MRSA bloodstream infections, or bloodstream infections from any pathogen. In contrast, targeted and universal decolonization resulted in significant reductions in MRSA-positive clinical cultures and bloodstream infections from any pathogen but not MRSA bloodstream infections; however, the effect of universal decolonization was greater than the effect of targeted decolonization. We conducted a pragmatic, cluster-randomized trial. Hospitals were randomly assigned to one of three strategies, with all adult ICUs in a given hospital assigned to the same strategy. Group 1 implemented MRSA screening and isolation; group 2, targeted decolonization (i.e., screening, isolation, and decolonization of MRSA carriers); and group 3, universal decolonization (i.e., no screening, and decolonization of all patients). Proportional-hazards models were used to assess differences in infection reductions across the study groups, with clustering according to hospital. Universal decolonization resulted in a significantly greater reduction in the rate of all bloodstream infections than either targeted decolonization or screening and isolation. The implications of this study are highly important. The lack of effectiveness of active detection and isolation should prompt hospitals to discontinue the practice for control of endemic MRSA. A benefit will be a reduced proportion of patients requiring contact precautions, which is a patient-unfriendly practice that interferes with care. In addition, the folly of pursuing legislative mandates when evidence is lacking has been shown, and laws mandating MRSA screening should be repealed. Lastly, this study has implications beyond MRSA. New resistance mechanisms continue to emerge in nosocomial pathogens. The recent dissemination of carbapenem-resistant Enterobacteriaceae has stimulated calls to implement active detection and isolation for these organisms. We hope that the results of this study will redirect that discussion and reinforce the utility of horizontal interventions to control not only the pathogens of today but those of tomorrow as well. Please take a look over at Athenahealth's Leadership Forum: A new post about common lessons about dysfunctional teams and leaders from sewage treatment (really! ), the IRS (also! ), and hospitals (of course!). Some of the brokerage firms that helped pique Americans' interest in stocks are now luring them into something much riskier: stock options. As the stock market soars to new heights, E*Trade, Ameritrade and Charles Schwab are advertising the potential rewards of options, which give buyers the right to buy or sell stocks at predetermined prices in the future. Options, like their cousins, futures, have traditionally been the domain of Wall Street traders. But the brokerage firms say futures and options can be profitable for ordinary investors, too — a claim that, while true, does not square with many investors’ actual experience. Analysis done for The New York Times by SigFig, a company that tracks 200,000 retail investors, showed that people who traded options last year received only about one-fifth the returns of people who did not trade options: 1.1 percent compared to 5.1 percent. All this is driven by greed, of course. [E]xpansion of this business . . . has clearly been an area of growth. An analysis of scattered data from company filings and presentations indicates that derivatives trading, which includes options, has risen at all the major firms since the financial crisis of 2008, which left many Americans with big losses in their investment portfolios. At Ameritrade, which has been the most aggressive, derivatives trades accounted for about 40 percent of all customer trades last year — more than double what it was just five years ago. A vast majority of those trades were in options. The growth has been a big help for the online brokers at a time when stock trading has fallen. The commission on the average options trade is more than twice that on the average stock trade. When a friend saw the Times article, she wrote me, "Aha! You have just explained why my assigned Ameritrade 'advisor' keeps bugging me and specifically suggested options a while ago. I know enough to know that's not for me." Dodd-Frank authorized the SEC to impose a fiduciary standard on brokers. But the agency, swamped with other rule-making related to the act, has so far done little. Under such a standard, hundreds of thousands of brokers would be legally obligated to act in their clients' best interests when recommending investment products. The most important change for consumers is that they would have greater legal standing to sue in cases where they had evidence they had been wronged. At the moment, brokers (including people working for big Wall Street firms), small locally owned brokerages and insurers are obliged only to recommend "suitable" products. Various interest groups are hardening their stands. The most powerful player is the Securities Industry and Financial Markets Association (SIFMA), which represents broker-dealers, including the big financial firms, such as Bank of America, Merrill Lynch and Charles Schwab. The stakes in an industry upheaval are big: According to Boston-based Aite Group, about 450,000 people give consumers financial advice; 45,000 to 50,000 of them work as registered investment advisors (RIAs) , and the rest operate under the aegis of broker-dealers. Until and unless the government acts, caveat emptor--and the seller, too, when it comes to options. The State House News reports that the Massachusetts Health Policy Commission "has chosen the proposed merger of the large Partners Healthcare System and with the smaller South Shore Hospital for its first review . . . to examine the merger’s effects on costs and the health care market." The HPC does not have veto authority over the merger. It can delay it slightly, as the transaction cannot proceed until 30 days after its report is issued. "If it chooses, the commission may refer findings to the state attorney general for action on behalf of health care consumers." What do the parties to the merger say? In a commission filing, Partners Vice President Brent Henry wrote that the affiliation with South Shore “will enhance clinical care and is intended to yield economic and operational efficiencies” that are “expected to result in the delivery of high quality, cost effective health care to all patients served by the parties in Southeastern Massachusetts, expand access to needed health care services, and should contribute, over time, to moderating the rate of growth in health care expenditures for the benefit of patients and employers.” In a separate filing, Richard Aubut, president of South Shore Hospital, used the exact same language to describe the anticipated impact of the merger. Sarah Darcy, spokeswoman for South Shore Hospital, said the two hospitals have worked together since 2004 on providing a wide range of medical and surgical care. Among them are the Dana-Farber/Brigham and Women’s Cancer Center, the Breast Care Center, and a Harvard Medical School-affiliated surgical residency program at South Shore Hospital. (See here for more detail with regard to cancer care, and here for the very close residency program for obstetrics and gynecology.) Do you think it is a coincidence that it is only with the passage of the so-called "cost containment legislation" last summer that a formal merger is proceeding? That legislation provides the framework for "state action" that will insulate Partners from future anti-trust action in this transaction. Why? Because the parties will be able to demonstrate "economic and operational efficiencies." Consider the expansion of the Partners' EHR system, purchasing, cost of capital, and the like to this community hospital. At a small marginal cost, SSH will accrue major marginal benefits. Expect Partners also to argue that consolidation will result in better care management for SSH's patients. Who is going to make a counter case before the HPC and the AG? No other hospital system will attempt to intervene, for fear that whatever metrics it would propose for the HPC or AG to slow down the PHS-SSH merger would also be used to slow down growth of their ACOs. No, the market power card is no longer available to be played in Massachusetts. Well done, Partners. The only hope for consumers in the state is real-time transparency of the actual prices paid for care in the various health care systems, accompanied by real-time quality data. Then, people would see that they are paying extra for little or nothing by insisting on insurance products with PHS doctors and hospitals. Then, insurance products with lower-cost limited networks with equal or higher quality might have a chance to grow. The proposed fees reflect the cost of systems analysis, program development, computer production, vendors’ fees, consulting services and other costs related to the production of any requested data. The proposed fees are based upon four factors: (1) the type applicant requesting the data; (2) the type and number of data files requested; (3)the data elements requested; and (4) the number of years of data requested. The Center may reduce or waive the applicable fees for qualified applicants. When CHIA released its initial proposed APCD fee schedule in November 2012, a mid-size organization, such as a community hospital, would have had to pay as much as $39,375 for just one year of restricted data, which would be insufficient to study trends and analyze the impact of any interventions over time. Such a hospital would have to pay multiple times for the data it needs. Under CHIA’s new fee schedule, released this month, a provider organization requesting restricted data from all categories would have to pay $40,500. And while the proposed new fees were reduced for obtaining public, de-identified data, it would still cost a provider organization up to $15,000 for a single year/single use. Granoff noted that APCD costs in neighboring New England states are significantly lower and she noted that hospitals already pay an assessment to fund CHIA’s budget. As we consider adjustment to the fee schedule in light of the comments we received, we are conscious of CHIA's competing responsibilities: to defray the operational costs of the APCD while also maximizing its value by facilitating access to many diverse users. Over my term at CHIA, I am committed to continuously expanding the use of our data resources. Novel uses of public assets like the APCD hold the promise of accelerating improvements in cost and quality in Massachusetts. Fees are necessary part of the investment needed to support this future, but I welcome all thoughts on how to ensure such fees are appropriate. Having served in fee-based agencies, I am acutely aware of the trade-offs facing CHA. If it incurs direct costs in serving requests for data and does not have a state appropriation to pay those direct costs, the fees it charges must be compensatory for the work needed to satisfy the requests. To the extent it waives fees, it would be required to add those amounts to the fees paid by others. If there is a broad public interest--as here--in making data broadly available to those with insufficient resources to pay the direct costs, it turns to the Legislature and Governor to make those funds available. In this instance, though, perhaps the rules could be read to mean that the MHA--a voluntary, not-for-profit organization with a strong emphasis on education programs--could make a single request on behalf of a group of hospitals who would share the data, reducing the cost for any one institution. @HopkinsMedicine quality and safety leaders Peter Pronovost and Cheryl Dennison Himmelfarb are offering a MOOC—a massive online open course--starting June 3. See here for sign-up details. It is free. Through the five-week course, participants will explore fundamental topics in the science of safety, patient safety culture, teamwork and communication, patient-centered care, and strategies for assessing and improving care. The course workload is two to five hours per week, which includes up to two hours of video instruction, as well as readings and assignments. Clinicians, hospital administrators, students, patients—indeed anyone with an interest in this topic—should consider enrolling. Students receive a statement of accomplishment upon passing the course. In honor of the yarzheit (anniversity) of my mother's death, I am reprinting a post from March 14, 2007. The message remains important for all families, and I think she would have liked me to remind you. In the story below, there is an important sentence: We discussed possible actions with Dr. X and decided to halt all invasive treatments, a course that my family has long agreed to. That no extraordinary measures be used to prolong my life if in the sole judgment of my daughter and my physician such measures will not restore me to a level of life that is commensurate with the mental and, to a lesser degree, physical standards by which I have been fortunate enough to live. Without limitation, such extraordinary measures include cardiac and/or pulmonary resuscitation, mechanical respiration, tube (intravenous and/or nesogastric) feeding and antibiotics. She wrote and signed this in the early 1990's, when she was in her early 70's and therefore likely well before it would be likely to be applied. The application of her directive occurred two years ago after an accident left her with a severe head injury and internal bleeding in her brain. When it became clear that, in her words, "the application of life-sustaining procedures would serve only to artificially prolong the moment of my death", my sisters and I were empowered to have a short and decisive conversation to remove the respirator and other measures that were keeping her alive. With no regrets on our part, she died just a few hours later. Afterwards, the ICU nurse kindly reaffirmed our decision, saying to me: "You, of all people, know that we can keep people alive forever. You did the right thing. She would have spent the rest of her life on her back in a nursing home, unable to talk or move. Surely, she would not have wanted that." A living will with this kind of advance directive is one of the greatest gifts a parent can give to his or her children. If you don't have one, or your parents don't, please have one prepared and discuss it with your relative while you are both still able to do so. Best (worst) hotel service story I have heard: My friend Ray is taking a nap in his room in the afternoon and has put up the "do not disturb" sign." The maid had not yet made up the room. Someone from the front desk calls on the room telephone, wakes him up, and asks, "Why do you have the 'do not disturb sign' up?" Have we gone overboard in hospitals in our desire to minimize pain? Several years ago, there was a lot of effort to require hospitals to inquire of patients where on the 0-10 pain scale they fell. This was a good idea for many reasons. But has it led to overuse of opiates like morphine, particularly those self-administered using patient-controlled analgesia (PCA) pumps? Why is PCA morphine dangerous? Too much medication can cause patients to stop breathing. Opiates, often inappropriately referred to as narcotics by doctors and nurses, suppress the central nervous system's respiratory drive and increases the risk of life threatening apnea. This is the cause of death in a heroin overdose. This is the cause of death in the epidemic of prescription opiate drug overdoses heard about on the news. Many PCA morphine order sets require continuous oxygen saturation monitoring and frequent documentation of respiratory rate as safety mechanisms. This is to protect the patient from experiencing prolonged hypoxemia as a result of too much sedation when no family is available at the bedside. Create and implement policies and procedures for the ongoing clinical monitoring of patients receiving opioid therapy by performing serial assessments of the quality and adequacy of respiration and the depth of sedation. The organization will need to determine how often the assessments should take place and define the period of time that is appropriate to adequately observe trends. Monitoring should be individualized according to the patient’s response. We have to recognize, though, that while ICU patients might have continuous monitoring of respiration, the vast majority of patients on PCA pumps are those on the regular medical/surgical floors of the hospital. They include "normal" (i.e., otherwise healthy) people recovering from orthopaedic surgery and other procedures. But that normality does not exempt them from the kind of respiratory depression cited in the literature. What is the systemic solution to ensure that the possibility of such a result is minimized? The patients with PCA pumps might have continuous oxygen saturation monitoring, but most certainly do not have continuous respiratory monitoring. The "frequent documentation of respiratory rate" can fall victim to the many other responsibilities and distractions that nurses face. (It was Anita Tucker at Harvard, I believe, who documented that nurses only spend 20% of their time at the bedside. As this article reports, "She learned that nurses' time ticks by in minutes or fractions of minutes; their average task took just two minutes.") Given the demands on nurses and the poor design of work flows with which most of them live, there is a some probability that a percentage of nurses will not accurately assess patients' respiratory rates. While there are technical fixes to the problem of continuous respiratory monitoring that might prove useful*, I wonder how much of this problem is related to the antecedent decision to reduce pain to a very low level. Is there a standard of care that is presumed to be appropriate by hospitals? Is the goal to drive the pain level down to a 1 or 2, or is the goal to reach a level of 3 or 4? Is there a thought given to the relative risks of different doses for a patient on a PAC morphine pump when the two goals are compared? For sure, reaching a pain level of 0 is noteworthy, but not if it is achieved by killing the patient. Disclosure: I am on the advisory board of a company that makes and sells instruments of this sort. The Act fills in current gaps in coverage for the poorest Americans by creating a minimum Medicaid income eligibility level across the country. Beginning in 2014 coverage for the newly eligible adults will be fully funded by the federal government for three years. It will phase down to 90% by 2020. People newly eligible for Medicaid will receive a benchmark benefit or benchmark­ equivalent package that includes the minimum essential benefits provided in the Affordable Insurance Exchanges. The law includes a number of program and funding improvements to help ensure that people can receive long-term care services and supports in their home or the community. Pennsylvania Gov. Tom Corbett (R) announced Tuesday that his state will turn down the Medicaid expansion, becoming the first governor of a blue state to officially say no to the coverage provision of the Affordable Care Act that the Supreme Court made optional. “At this time, without serious reforms, it would be financially unsustainable for Pennsylvania taxpayers, and I cannot recommend a dramatic Medicaid expansion,” Corbett wrote in a letter to U.S. Health and Human Services Secretary Kathleen Sebelius. The decision will please conservative advocates who are urging leaders to stonewall Obamacare implementation. But it’s a blow to the many thousands of uninsured Pennsylvanians who would have received coverage through the program, which extends Medicaid eligibility to Americans up to 133 percent of the poverty line for participating states. Something is seriously wrong with these people. They are intentionally creating an uninsured underclass in their states. I hope that the successors to these governors will see the light. If you want to begin to understand why Partners Healthcare is so dominant in the state's healthcare market, don't go to this page, Hospital Systems by Size, on which Partners is #2 after Steward Health Care System. Go this this page: Physician Networks and Major Medical Groups, where the size of Partners' physician network (called Partners Community Healthcare Inc., PCHI, or "peachy") is larger than #2 (Steward) or #3 (Atrius), combined. I don't see it listed, but I am guessing that a chart of specialists would be even more skewed to Partners. Remember this chart produced by the system for its presentation to Wall Street? Or look at hospitals by Net Patient Service Revenue, and see that Partners total NPSR in 2010 ($4.2 billion) was the same as #s 2 (UMass Memorial), 3 (Steward), and 4 (Beth Israel Deaconess) combined. So much more to explore in this highly useful and accessible tool as the state debate over cost and market dominance continues. Establishes a new “Cost and Market Impact Review” to examine provider organizations to determine whether any provider's market concentration exceeds certain federally-established parameters. If the Commission determines, based on its review, that actions of a provider constitute unfair practices or unfair methods of competition or other violations of law, the Commission must refer the matter to the Attorney General for further action. The problem is that that game is over. There is no way the Massachusetts AG will have the authority to break up an existing health care system. If s/he tried, the legal process for getting there would take forever. No, the focus in Massachusetts remains with a misplaced belief that moving the system to one based on capitation will solve the cost problems. (Look at these comments by the chairperson of the state health policy commission.) In addition, there is to be a consideration of the potential for consumer-driven health plans (those with a high deductible component or a health savings account) to influence customer behavior in the selection of doctors and hospitals. While I am not sanguine about the efficacy of the latter, a condition for its success would be real-time total price and quality transparency, at the consumer level. As Barry Carol notes in a recent comment on this blog, "Perhaps CHIA in MA can lead the way toward true price and quality transparency in healthcare so both patients and referring doctors can much more easily identify the most cost-effective high quality providers and steer their business to them." An intriguing story has developed in Kentucky. Several months ago, the UK's Kentucky Children's Hospital announced that it had suspended its pediatric cardiothoracic program, pending an internal review. 1. The number of surgeries Dr. Mark Plunkett, chief of cardiothoracic surgery, performed in the previous three years. 2. The date of Plunkett's last surgery. 3. Payments received for surgeries performed by Plunkett in 2010 and 2011. 4. The mortality rate of pediatric cardiothoracic surgery cases in the previous three years. 5. Documentation related to any evaluations/accreditations of the program in those three years. She did not request the names of, or any other identifying information about, the patients. UK answered questions 1 and 3 but declined on the rest, citing patient confidentiality. UK said Plunkett performed so few surgeries that it might be possible to identify individual patients. The open records requests impact three competing values — the right of the public to know what transpires at a public institution, the right of individual patients to privacy and the obligation of the health-care providers to engage in critical self-examination so as to improve patient quality and safety. In a really sad day for both open inquiry and freedom of information, the University of Kentucky last week sued a reporter for its public radio station. If UK is trying to manage its image, it has made a huge blunder. Stonewalling on this request only makes it appear that the university is more interested in keeping under wraps whatever has gone wrong in Plunkett's department rather than protecting the confidentiality of its patients — living or dead. Kentucky Children’s Hospital treats some of the sickest and smallest patients from across central and eastern Kentucky. But for the past several weeks, pediatric heart surgeries have been referred to other hospitals. ...UK Healthcare is reviewing its program, but the reasons why are unclear. UK Healthcare officials have not identified what prompted the review, but they say it is limited to the pediatric cardiothoracic surgery program, not any other pediatric areas or the adult heart program. “We’re looking at what can we do best and how do we best deliver the services and the care that kids need,” said Dr. Carmel Wallace, Chair of UK's Department of Pediatrics. UK’s head of surgery, the chief medical officer, and Dr. Michael Karpf, the Executive Vice President for Health Affairs, all would not comment for this story. Dr. Mark Plunkett, the surgeon at the center of the review, also declined to be interviewed. One of the trustees said that he thought UK should consolidate its pediatric heart program with the University of Louisville because of high operational costs. So are there economic reasons? Are there reasons related to sustaining a high quality clinical environment? UK's position is understandable if we take as a given the hospital's obligation to preserve patient confidentiality under HIPAA and also the need to protect the peer review process as applied to clinical decision-making. But it is giving the impression of stonewalling by not explaining much about the reason for the program's suspension. That kind of image is usually not good for a public institution. I wonder if there is a middle ground that might be negotiated here between the university and itself. Sometimes when something is right in front of you, you don't see it. Great cover story in the New York Times today on how the new private owners of Bayonne Hospital made it for-profit and canceled their insurance contracts. By becoming out-of-network they were able to jack up their prices and make a lot of money. Talk about gaming the system! The writers of the story, "New Jersey Hospital has the Highest Billing Rates in the Country," missed the major point. My friend did, too, but less so. 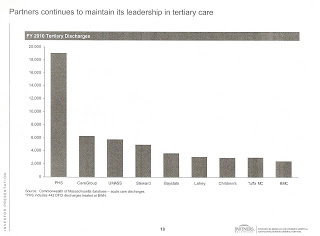 This is not about the relative prices in the hospital's chargemaster, nor is it about gaming the system. It is the system. The name of the game is to have sufficient market power in a geographic area that you can demand higher than market prices from the insurance companies. In recent years, Bayonne Medical put up digital billboards highlighting the short waits in its emergency rooms in an effort to attract more patients. Insurers complained that the hospital was seeking to take advantage of the higher rates it could charge. Community leaders in Bayonne, fearing the hospital could close, said the buyers were always candid about the methods they intended to use to make the hospital a profitable enterprise. In 2009, Horizon Blue Cross Blue Shield of New Jersey filed an injunction in New Jersey Superior Court saying Bayonne Medical’s owners had “flatly rejected” and refused to negotiate an in-network hospital contract with Horizon. When the existing agreement expired in early 2009, Horizon said Bayonne sharply increased its prices. Bayonne’s in-network charges to Horizon averaged $13,000 a day in 2008. A year later, when it was out of network, the charges soared to $29,000, the insurer said in a spring 2009 news release. The two eventually settled in 2011, and Horizon became an in-network insurance provider. A spokesman for Horizon declined to comment on Bayonne Medical’s charges, citing terms of the settlement agreement. Still, many other large insurance companies, including Cigna, United Healthcare and Aetna, remain out of network at Bayonne and are paying the higher bills. Aetna’s internal data showed that Bayonne Medical’s emergency room charges jumped again in 2012 and are running 6 to 12 times as high as those of surrounding hospitals. Now, Aetna is one of the largest insurance companies in America. But in the Bayonne area, that size means squat. 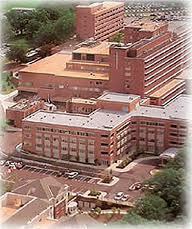 Bayonne Medical Center, by an accident of geography, is viewed as an essential medical center by patients. The hospital's owners are extracting monopoly-like profits as a result. And it will be more common over the coming years. The impetus coming out of the so-called Affordable Care Act (aka, Obamacare) is for hospital systems to consolidate into accountable care organizations to become dominant in their market area. Ostensibly, this is to better manage care across the spectrum of care. Part of the reason, too, is to have a broader pool of patients as pricing moves to more of a risk basis. As in Bayonne, we can expect continued upward price pressure across the country as these large systems hold a hammer over the head of insurers. So why it is called the Affordable Care Act? By the way, let's review this quote: The two eventually settled in 2011, and Horizon became an in-network insurance provider. A spokesman for Horizon declined to comment on Bayonne Medical’s charges, citing terms of the settlement agreement. With all this fuss about the chargemaster, reporters and some patient advocates are again missing the point. Let's make public the actual rates charged by hospitals and physician groups. This event on May 29 (3:30-5:30) at the Metropolitan Museum in NY is worthwhile for any health care provider who encounters people with dementia and for family members of persons with any form of dementia. Please join us for a screening of I Remember Better When I Paint, a film by Eric Ellena and Berna Huebner. I Remember Better When I Paint is the first international documentary about the positive impact of art and other creative therapies on people with Alzheimer’s and how these approaches can change the way we look at the disease. Among those who are featured are noted doctors and Yasmin Aga Khan, president of Alzheimer’s Disease International and daughter of Rita Hayworth, who had Alzheimer’s. Following the screening, filmmaker Berna Huebner will be joined by Dr. Sam Gandy, Chair of the Mount Sinai Alzheimer's Disease Research Center, and Gail Sheehy, bestselling author of Passages in Caregiving: Turning Chaos into Confidence, for a lively discussion moderated by Carolyn Halpin-Healy, Founder and Executive Director of Arts & Minds. We go back to infrastructure for a break from health care (although the two are intimately related in many ways.) Some of you will remember my story about the use of cowbells to forestall too-low trucks from hitting underpasses along the Boston river roads. Now comes this story from Australia, where waterfalls do the trick! I admire President Obama in many ways, but I think he does not understand one important element of leadership. He has repeated the following behavior: Something goes wrong in his administration. He expresses anger about it, and says such behavior is inexcusable, as though it is someone else's responsibility. Then, someone falls on his sword and resigns, or someone is blamed and is fired. A strong leader would take personal responsibility, say what he is going to do to fix the problem, and then permit himself to be held accountable for the required changes. The President's approach emphasizes his own leadership weakness. The two most recent examples are the inadequate steps taken by the military to avoid sexual harassment and the improper use of the IRS to investigate organizations of a certain political persuasion. How did he react? President Obama said today he has “no tolerance” for sexual assault in the military and said perpetrators are “betraying the uniform that they’re wearing,” even as a new Pentagon report indicates the problem is growing. “For those who are in uniform who’ve experienced sexual assault, I want them to hear directly from their commander in chief that I’ve got their backs. I will support them. And we’re not going to tolerate this stuff. And there will be accountability,” Obama said at a joint White House press conference with South Korean President Park Geun-hye. The President is the commander-in-chief and has been for over four years. How about something that indicates the buck stops with him? Anybody who knows me knows that I personal abhor this kind of behavior. Although I instituted programs several years ago to reduce its likelihood, I have to accept responsibility for the fact that our efforts have not been strong enough or thorough enough. I could offer excuses, but as people in the military say, "No excuse, sir." I intend to work with the Joints Chief of Staff to do a top-down evaluation of what we have done so far, what works, and what doesn't work. A part of my plan will certainly be to protect people who report this kind of behavior--whether victims or observers, whether subordinates or supervisors. But beyond that, we will borrow the best of ideas that have been successfully employed by businesses and institutions to eliminate this kind of behavior. I will publishing monthly reports indicating our progress. The people of this country and in the military have a right to hold me accountable. I have now had the opportunity to review the Treasury Department watchdog’s report on its investigation of IRS personnel who improperly targeted conservative groups applying for tax-exempt status. And the report’s findings are intolerable and inexcusable. The federal government must conduct itself in a way that’s worthy of the public’s trust, and that’s especially true for the IRS. The IRS must apply the law in a fair and impartial way, and its employees must act with utmost integrity. This report shows that some of its employees failed that test. I’ve directed Secretary Lew to hold those responsible for these failures accountable, and to make sure that each of the Inspector General’s recommendations are implemented quickly, so that such conduct never happens again. But regardless of how this conduct was allowed to take place, the bottom line is, it was wrong. Public service is a solemn privilege. I expect everyone who serves in the federal government to hold themselves to the highest ethical and moral standards. So do the American people. And as President, I intend to make sure our public servants live up to those standards every day. The president is chief executive officer of one branch of the government and has been for over four years. How about something that indicates the buck stops with him? The IRS is part of my administration, and I take responsibility for any misdeeds and impropriety that occur in that administration. It would not be enough for me to say that some people acted outside of their authority and in a manner inconsistent with our political and constitutional system. If they acted in such a way, it might reflect their wish to do something that they mistakenly thought I would condone. Or more innocently, it might just reflect misjudgement, misunderstanding, or bad training. Whatever the reason, I have not done enough to ensure that the standards I hold dear have been maintained in my administration. I have directed a top-to-bottom review of our training and compliance programs. I will publish the results of that review for all to see, and I will act on that review with specific steps and milestones and provide public progress reports on our implementation of that plan. Meanwhile, I request that any organization that has felt itself to be abused in this manner to file a statement of complaint on a new public website, and I will ensure that the resolution of that complaint is published for all to see on that website within 60 days. I will also request any IRS employee who feels that any organization has been abused in this manner to file an anonymous statement of complaint on a new public website, and I will ensure that the resolution of that complaint is published for all to see on that website within 60 days. Unrealistic? Showing political weakness? Just the opposite. On the organizational level, by taking ownership of the problem, the President would invite the cooperation of people in the government to help solve it. In contrast, the way he now frames it is an invitation for people to hunker down. If they see something wrong, they will fear reporting it. The president needs to learn from some examples of leaders. In my book Goal Play!, I relate some of those stories. We decided to be as open and transparent about the incident as possible and went through a “Deep Learning” journey involving hundreds of people that examined in detail all the root causes that contributed to the accident to get a clear picture of the system that produced the fatalities. Even though the two men who were killed could have made better decisions, my senior leadership team and I could find places where we ‘owned’ the system that led to the tragedy. It was a defining moment for us when we, as senior leaders, were finally able to identify our own decisions and our own part in the system (however well intended) that contributed to the fatalities. That gave license to others deeper in the organization to go through the same reflection and find their own part in the system, even though they weren’t directly involved in the incident. The crux of his entire presentation was this comment: “My objective today is to confess. ‘I am accountable for those unnecessary deaths in the NICU. It is my responsibility to establish a culture of safety. I had inadvertently relinquished those duties,’” he noted, by focusing instead on the traditional set of executive duties (financial, planning, and such). This president came into office having never really run an organization of size and complexity. He has played for years in the political environment, where the blame game is part of the culture and is viewed as a way to win the next election. Now, however, it is his last term. It would be a good time for him to learn how to be a leader of the executive branch. By the way, it would also be good politics, as it would help establish him as a strong leader and not a weak one. The dividends would flow to other aspects of his presidency. Delete email. Not email messages. Email altogether. After I previously attempted to make my work more focussed in other ways it turned out to a large extent that 250 to 300 emails a day made this impossible. An analysis of my incoming emails taught me that some 70 percent of the information sent to me also was also on our intranet. It was clear that email was increasingly used as a some kind of chat — some up to 10 other messages cc'd to easily 10 people each. For that, I think, we have other more appropriate tools, such as our UMCN, Yammer or social media. I therefore decided to stop email. Just stop. Not just bcc or cc, but everything. Now you might think: "One can’t just stop" — and that is true. This would not be possible for everyone, but it fits with my role as bit of a rebel (with a cause ;-). In support of this decision, he posted this marvelous video called "Business Practices that Refuse to Die: #No. 44, Email." I can firmly tell you that it already saves me a lot of time: approximately 1.5 to 2 hours per day. In addition to that, my colleagues are surprised that I can find time time for a cup of coffee, pick-up the phone and respond to messages more swiftly through other channels like social media. I'm not quite this far along, but I am sympathetic. Beyond the inherent flaws in email as a tool for collaboration, it is also a tool for avoiding personal interaction. It is an enabler of passive aggressive behavior. If I hadn't left my hospital job, I was planning on an experiment: Asking people not to use email every Monday. I was looking forward to the idea that a person with an idea, a suggestion, a comment, or a complaint would have to get up and walk a few meters to talk to another person. I felt that people would quickly solve their problems or share ideas and do so in a manner that would avoid the "email trees" described in the video. By looking at one another, too, they would send subtle messages using body language, tone, and humor that are not possible in email messages. There would be fewer misunderstandings. People would get to know, and maybe even like, one another. In my book Goal Play!, I tell the story of how we used to arrange informal dinners for the managers at BIDMC. We'd get a group of 15 to 20 mid-level managers to an off-site location for conversation, group games (like “two truths and a lie” and Trivial Pursuit), dinner, and wine to get to know one another. For us, the game gatherings, of which there were several, were a great opportunity for people to open up and relate in new ways. “I have been sending you emails for five years, but I never met you,” was one typical reaction. “You go hang-gliding!” said another. “You have how many children? !” would be another. People got to know one another as individuals and members of their community, separate from their work responsibilities. They discovered that they enjoyed each other’s company. Later, back in the office, they remembered and treated one another with much less of a bureaucratic attitude. They became more helpful, considerate, and empathic towards their colleagues. Think about it. The supposedly utilitarian and powerful connecting force of email had become perverted into a means for keeping people separate. We have to start breaking this down. Bravo to Lucien for going the distance by risking an alternative view of the world. I was dramatically wrong in a recent blog post when I suggested that the MA Center for Health Information and Analysis had failed to make broadly available an all-payer claims database. I apologize to the agency and to Executive Director Áron Boros. I print below the full text of a reply from Commissioner Boros which, for some reason, I did not receive earlier. I'd like to offer a reasonable excuse for my error, but--having done a root cause analysis--can best attribute it to the equivalent of diagnostic anchoring. I believed that CHIA had not acted to free the data. I conducted a (clearly incomplete) web search for information on the topic and found nothing to suggest an alternate view, so I concluded that I was correct. A good lesson all around. Here's Commissioner Boros' complete comment to me, which will also be posted on the original site, along with an addendum by me in the text. While I appreciate your continued advocacy for transparency and, in particular, your focus on patients, I am concerned that this post does not reflect any research on your part into the current state of transparency in Massachusetts. My agency, the Center for Health Information and Analysis (CHIA), is responsible for collecting, enhancing, and sharing the data in the all-payer claims database (APCD), among many other data sets. You are wrong when you state that CHIA has “failed to act.” Even a cursory look at our website would confirm this. www.mass.gov/chia/apcd. Since July of 2012, the all-payer claims database has been available for public release. Applications to use this data are posted to our website (at http://www.mass.gov/chia/researcher/health-care-delivery/hcf-data-resources/apcd/accessing-the-apcd.html). There, you can see that we have handled more than 15 applications in the last 9 months. The first one is dated July 13, 2012. The applications come from a wide variety of researchers and other users, and address a number of interesting policy questions. We also recently updated the fee schedule for access to the APCD (http://www.mass.gov/chia/docs/g/chia-ab/ab-13-03-apcd-fee-schedule.pdf). The fee schedule reflects a careful consideration of appropriate pricing for this kind of data including, among other things, a public hearing and comment process. The fee schedule also provides for full or partial fee waivers for a variety of applicants, including students and qualified researchers in certain circumstances. I am proud of our accomplishments in increasing data transparency, and confess to a little bit of frustration that your post appears to assume that we have not been working to fulfill this mission without a minimum of research into what has actually happened over the last year. In addition to the public release, the APCD is currently also being used to help implement to the Affordable Care Act, is being used to support the Division of Insurance in some of its market monitoring activities, and is being used internally by CHIA for health care research and analysis. I would be happy to discuss the APCD with you more. As should be clear from my comment, there is a lot to say. Hurricane Sandy first struck the Caribbean and then the entire East Coast of the United States at the end of October 2012. The storm smacked into New York and New Jersey especially hard, impacting millions. The story of how the largest health care system in the region, North Shore–LIJ, operated throughout to ensure patients and staff were protected and supported, under fierce circumstances, is one that communities and hospitals everywhere can learn from. This is our focus for the May 16, 2013, WIHI: Reliable Practices for Responding to Natural Disasters: Lessons from North Shore-LIJ and Hurricane Sandy, featuring three leaders from NS-LIJ who were responsible for every kind of decision imaginable before, during, and after the storm. Some of the decisions included transferring hundreds of nursing home residents out of harm’s way, taking in patients from other hospitals, assisting at area shelters, buying up fuel for ambulances, and opening up a resource center for hospital staff whose homes and neighborhoods had been torn apart and flooded. One of the back stories to NS-LIJ’s response is the degree to which it was built upon critical lessons learned during Hurricane Irene, a year before. In 2009, there was the H1N1 outbreak. In each instance, the health system did things well, and saw where it fell short; now that Hurricane Sandy has come and gone, this same type of assessment continues. Health care organizations and first responders must prepare for many types of crises and disasters. Reflecting on the recent Boston Marathon bombings, which killed three and seriously injured over 200 (NEJM, April 24, 2013), authors Arthur Kellermann and Kobi Pelag write, “The best way hospitals can prepare is to base their response on a strong foundation of daily health care delivery.” So, routine and reliably safe practices, guided by continuous quality improvement, is lesson one for emergency planning. WIHI host Madge Kaplan invites you to bring your experiences and your interest to this timely discussion on May 16.